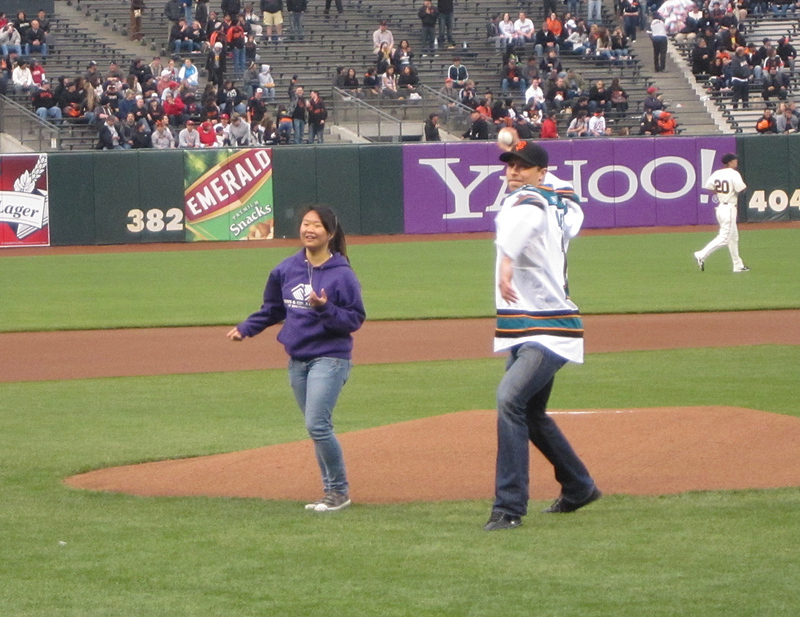 In honor of the Sharks’ Game 1 victory over the Red Wings last night, here’s a look back at Dany Heatley throwing out the first pitch at Monday’s Giants game at AT&T Park. 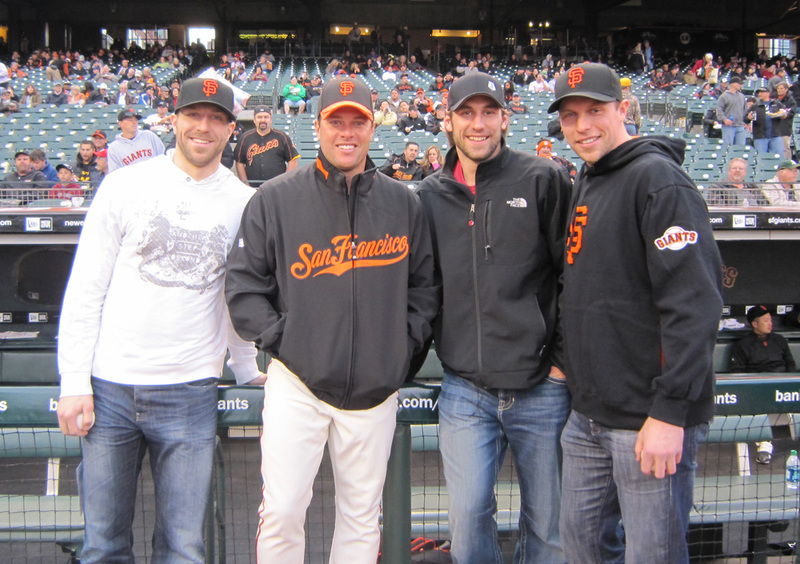 Heatley came to the yard with teammates Ryane Clowe, Jay Leach and Niclas Wallin to take in a game during their four-day break from the Stanley Cup playoffs. 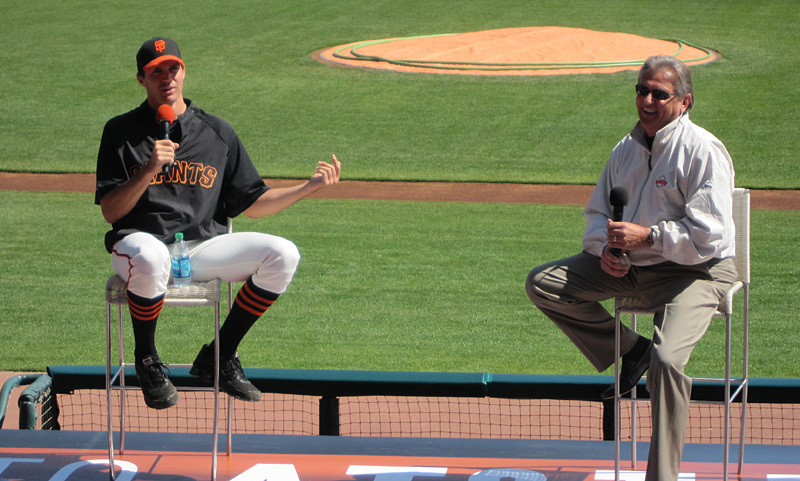 Heatley’s said before that he would love to take batting practice, but because of the scheduling, that wasn’t possible. 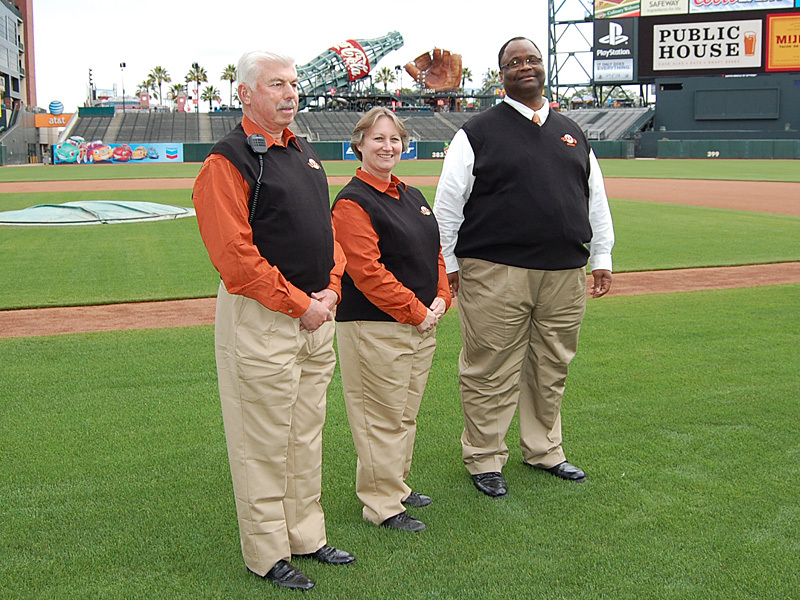 Instead, the Giants arranged for him to join the previously scheduled Boys & Girls Club California Youth of the Year, Winnie Phan, in throwing out the first pitch. 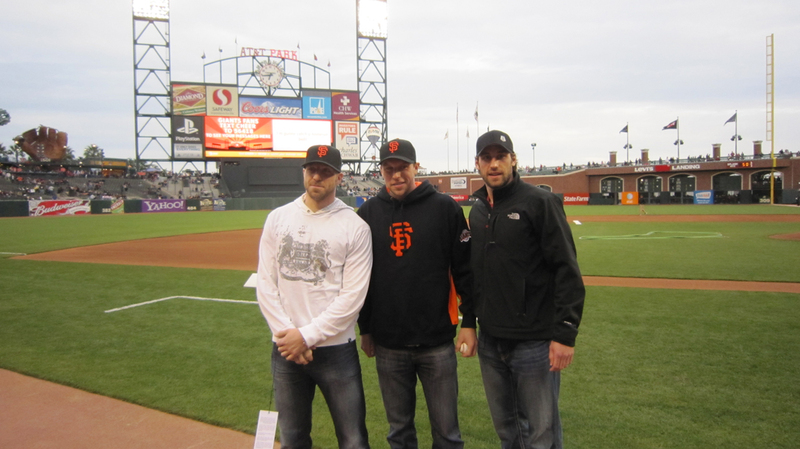 Ryane Clowe, Dany Heatley and Jay Leach before the game. Heatley, Clowe and Leach waited near the Giants dugout before the game (Wallin headed to his seat pretty quickly), indulging media requests for photos and interviews. 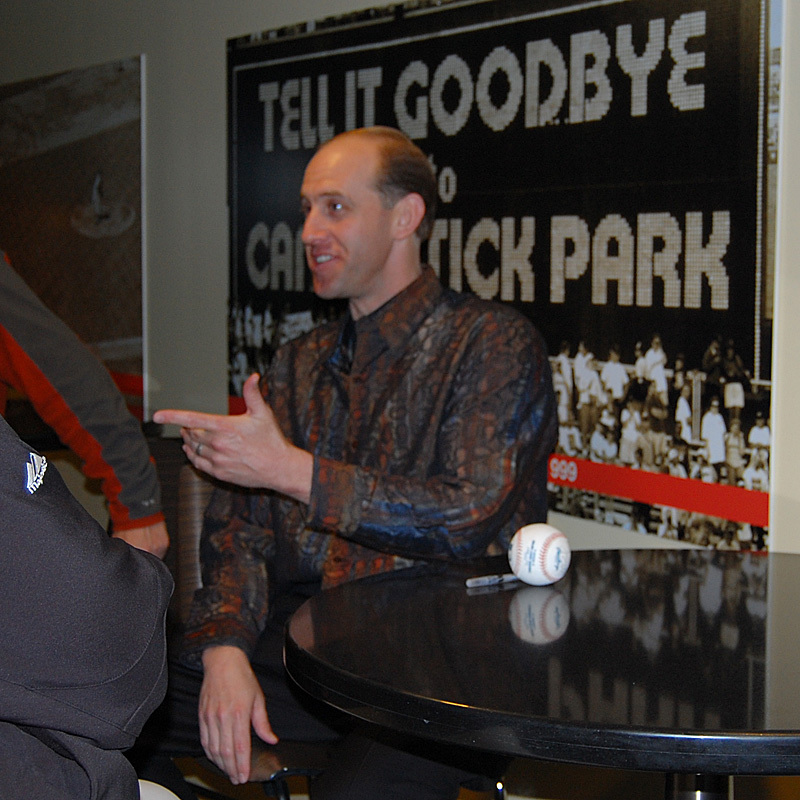 He said despite not being raised in the United States, he’s still a fan of the American national pastime. 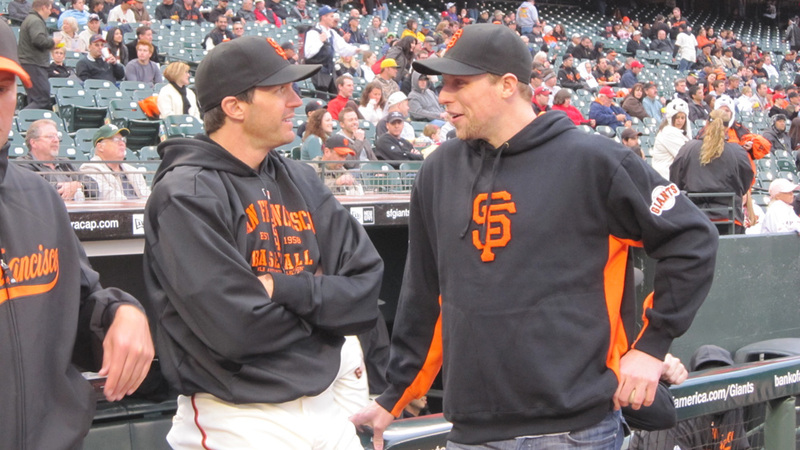 Heatley even revealed that he’d been to a Giants game a very long time ago, when his family was visiting California and took in a game at the Giants’ old home, Candlestick Park. 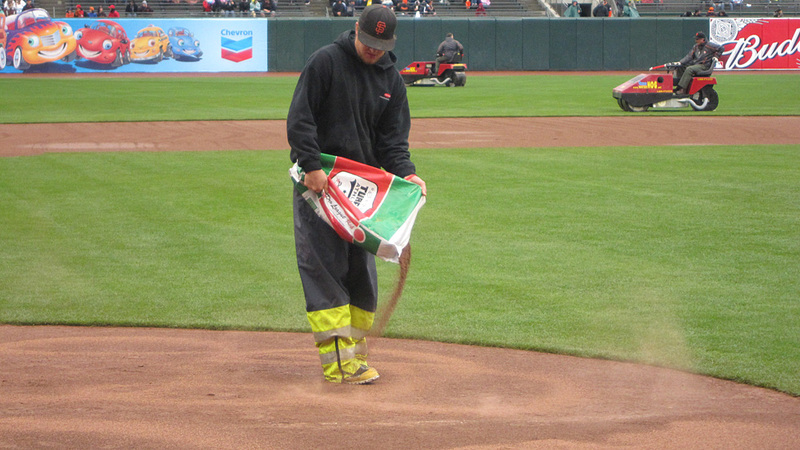 As he waited before Monday’s game, rocking a Giants sweatshirt and cap, you could see he was getting a little nervous about the task that awaited him. 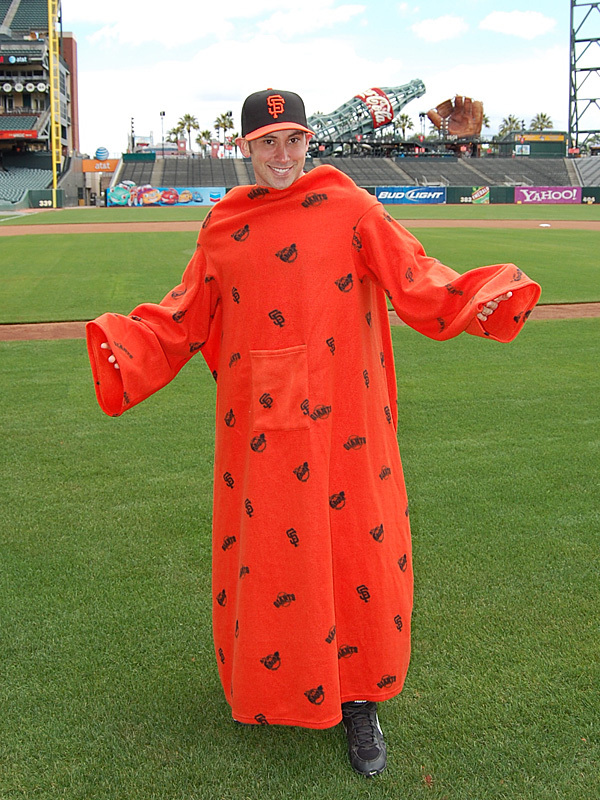 At one point, he asked if someone could get him a ball and a place to warm up, and he went down to the Giants batting-cage tunnel to practice for a bit. 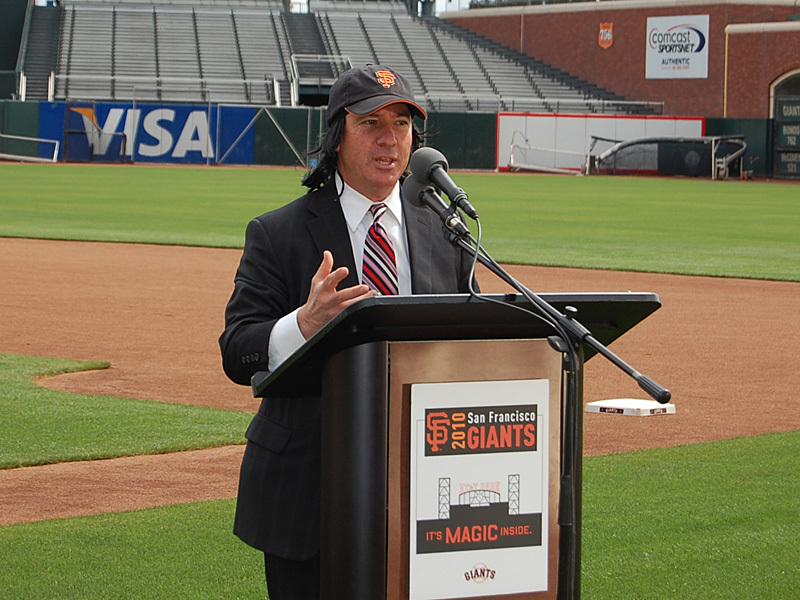 Giants special assistant J.T. Snow dropped by to chat and pose for pictures with the Sharks players, and Heatley hung out with Barry Zito (someone told me they were already acquainted), who would be catching Heatley’s first pitch. 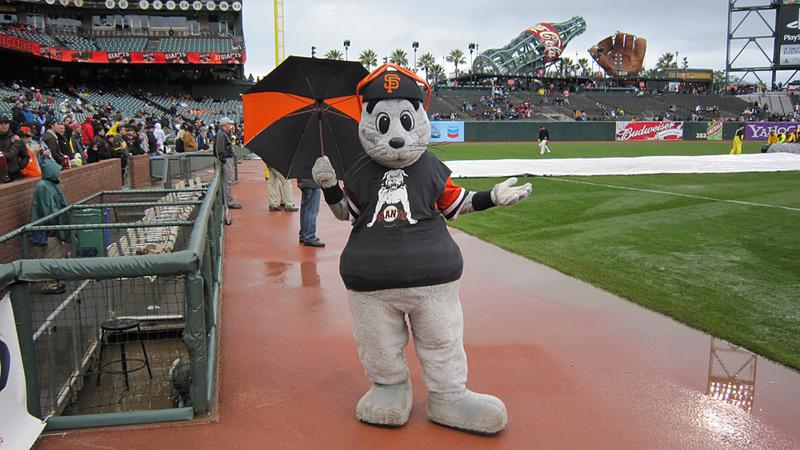 After pulling on his Sharks jersey (or sweater, in hockey parlance), Heatley took the field with Winnie, and while the 17-year-old rainbowed her toss into Sergio Romo‘s glove, Heatley fired the baseball version of a slapshot at Zito. Except his fastball came up a few feet short, and Zito had to make a nifty grab of the one-hopper. 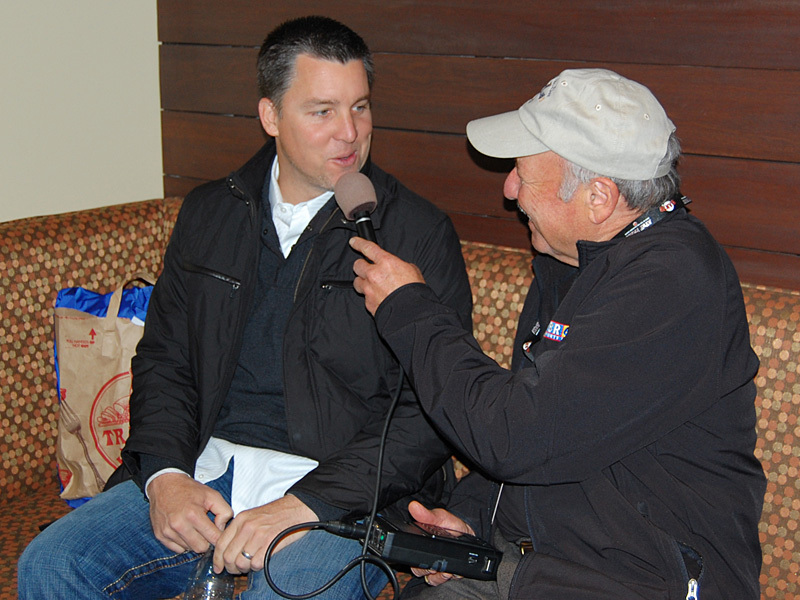 Heatley took a lot of grief for getting outpitched by a 17-year-old (ESPN even interviewed Winnie), both when Clowe visited Mike Krukow and Duane Kuiper in the broadcast booth during the game and later from his teammates. But he said he definitely enjoyed the experience and is still looking forward to the chance to take batting practice someday. And any embarrassment over his first-pitch performance sure didn’t carry over to his play on the ice: He scored his first goal of the playoffs in the Sharks’ 4-3 victory over the Red Wings three days later. 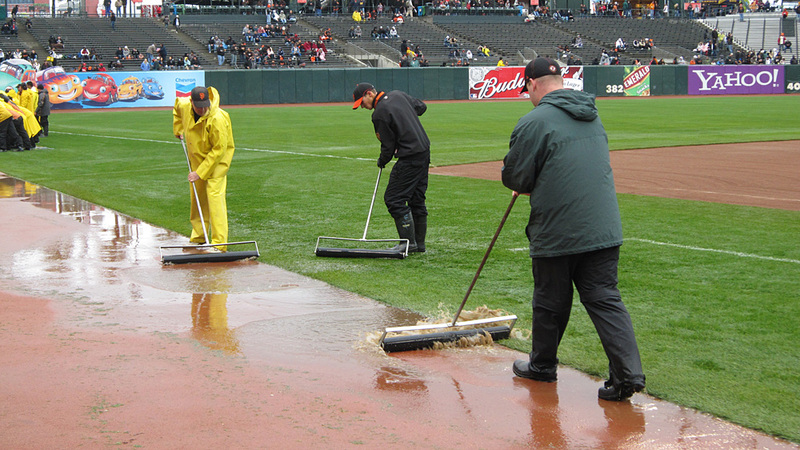 NOTE: I’ve set up a Twitter account for updates and photos of ballpark happenings. Follow @ThirdAndKing on Twitter for all the fun! If you happen to be at today’s game (and you should be — it’s a spectacular day here at the yard) or you’re in the area, stop by the Public House after the game. 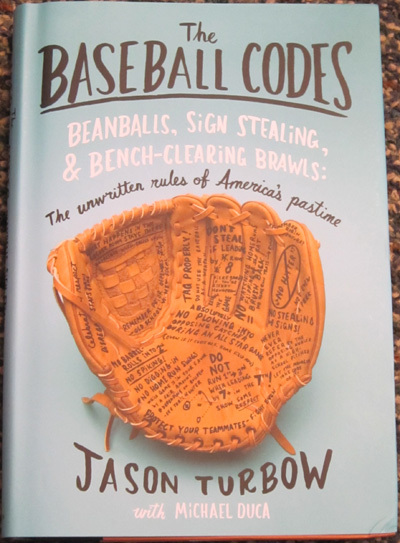 Jason Turbow and Michael Duca, the authors of the very well-reviewed “The Baseball Codes,” will be there to meet the public and sign copies of the book. 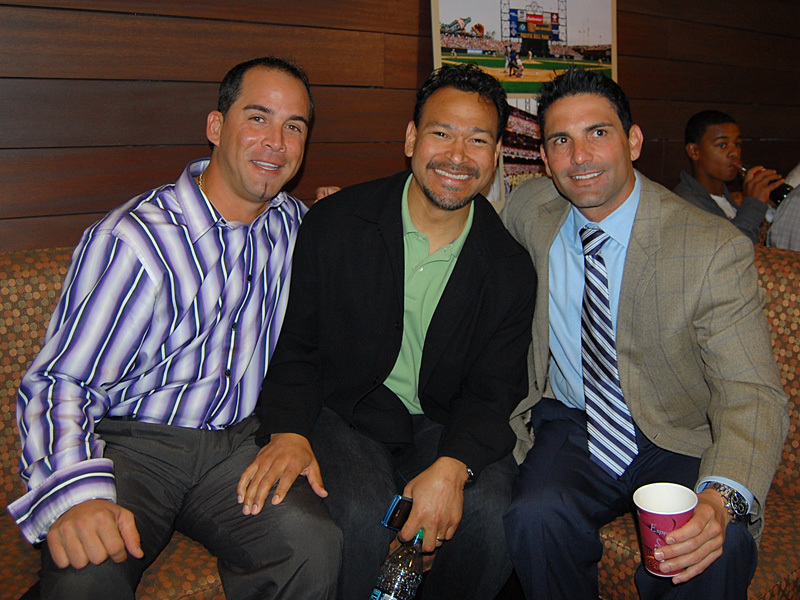 Jason and Michael, friends who were kind enough to give me a copy of their book, spent an enormous amount of time researching the “unwritten rules, protocols and superstitions” of baseball. NPR, The Associated Press, The New York Times and more have all raved about the book. 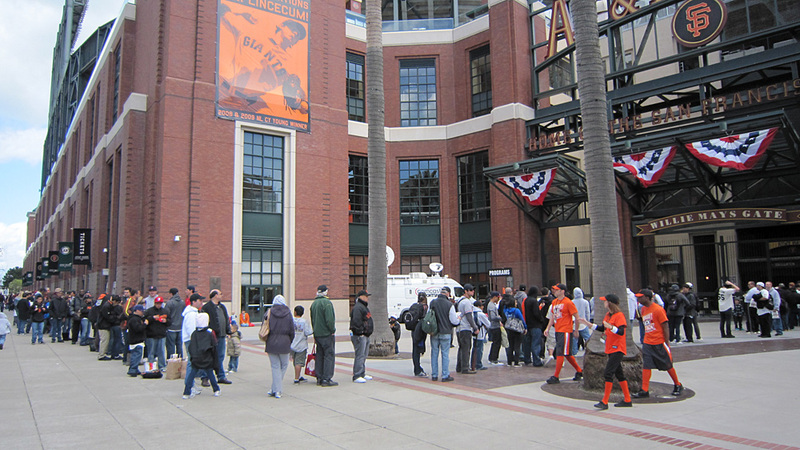 Fans line up to enter the ballpark for the Opening Day party. 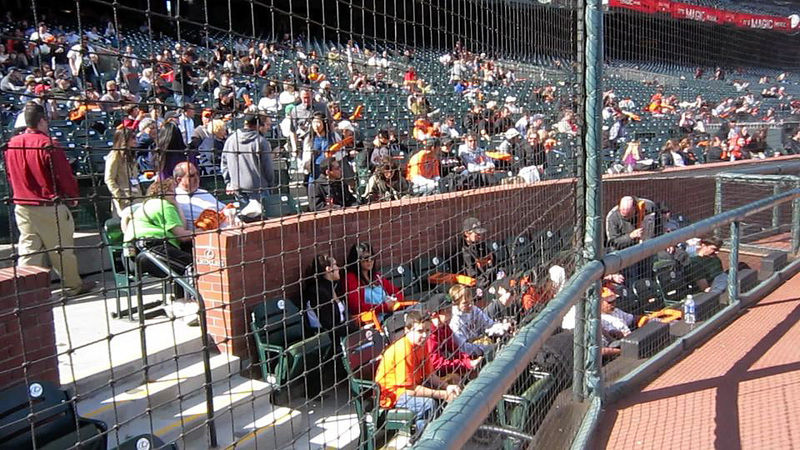 Giants fans had to like Monday’s Opening Day in Houston, where Tim Lincecum was brilliant, new Giant Mark DeRosa bashed a homer, John Bowker showed off a nice glove (and bat) and Brian Wilson was downright filthy in the ninth. 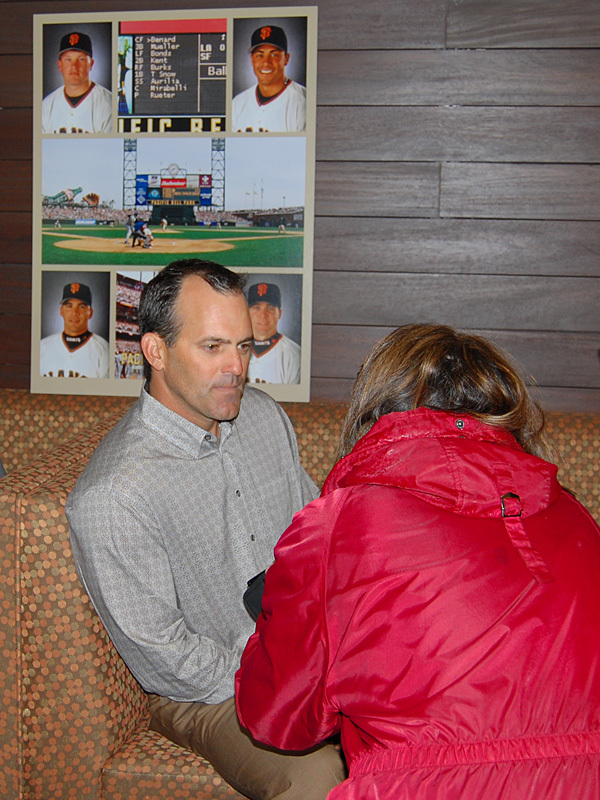 Wednesday was the annual media open house at AT&T Park, where the Giants discuss what exciting things are planned for the upcoming season (beyond the guys in uniforms throwing a ball around). 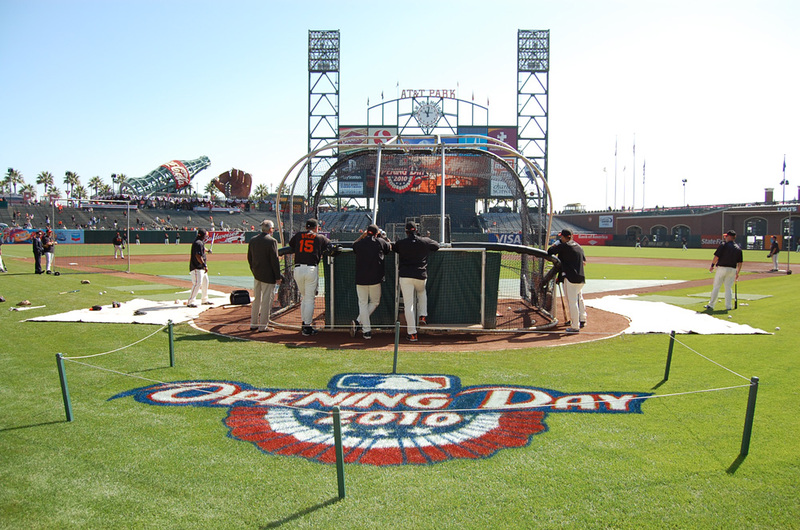 Opening Weekend kicks off April 9 with Opening Day vs. the Braves. San Francisco’s own Matt Nathanson will perform the national anthem (seriously, if you don’t know this guy, go download “Come On Get Higher” RIGHT NOW) and the first pitch will be thrown out by a mystery San Francisco sports legend. 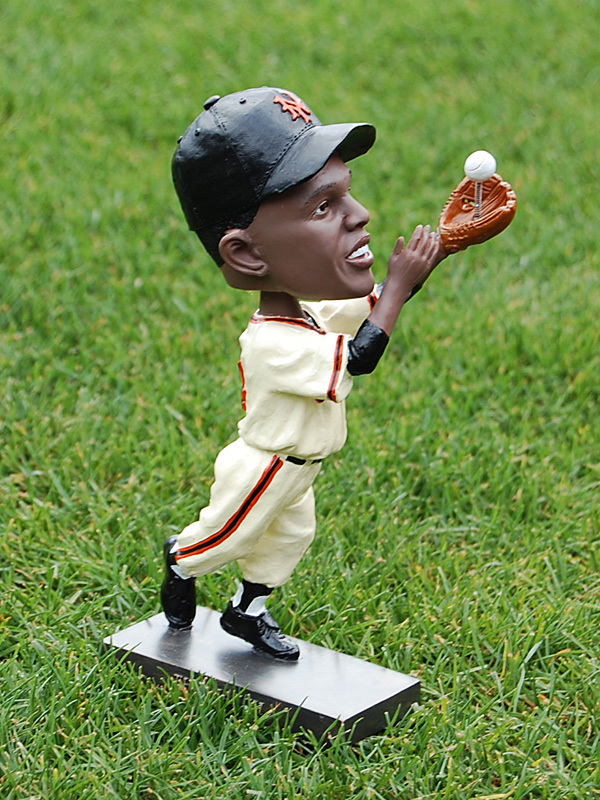 Toss out your guesses on Twitter (address to @sfgiants or tag it #sfgiants), and no, it’s not Barry Bonds. 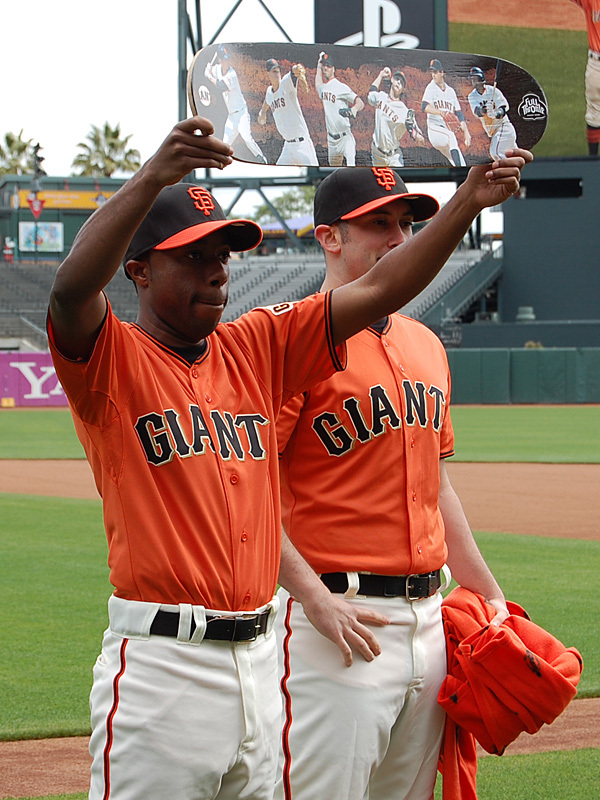 But speaking of Bonds, he’ll be at AT&T Park on April 11 as part of the 10th anniversary of the first regular-season game played at the yard. 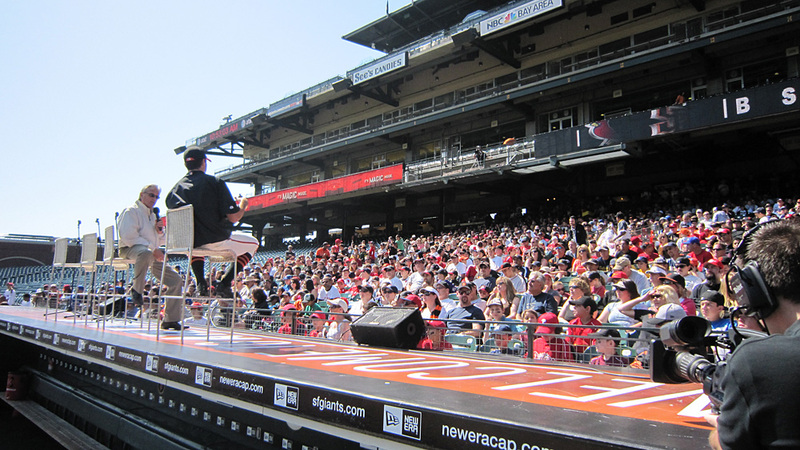 Other guests from that 2000 National League West championship team include Rich Aurilia, Marvin Bernard, Ellis Burks, Felipe Crespo, Bobby Estalella, Shawn Estes, Aaron Fultz, Mark Gardner, Jeff Kent, Ramon Martinez, Bill Mueller, Robb Nen, Armando Rios, Kirk Rueter and J.T. Snow. 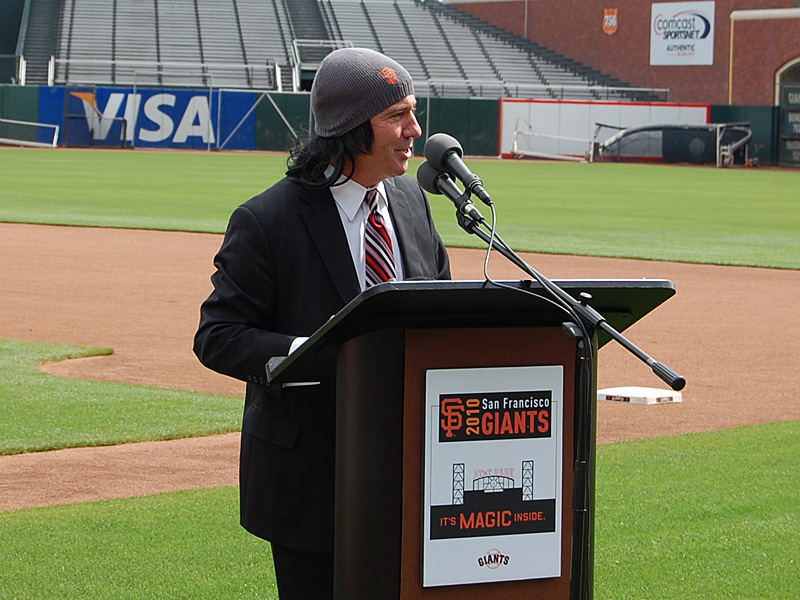 The night before that, Tim Lincecum will be honored for winning his second consecutive Cy Young Award, with postgame fireworks also planned. The highlight of media day (at least for the media) is a sampling of some of the new and returning food items offered at the ballpark. 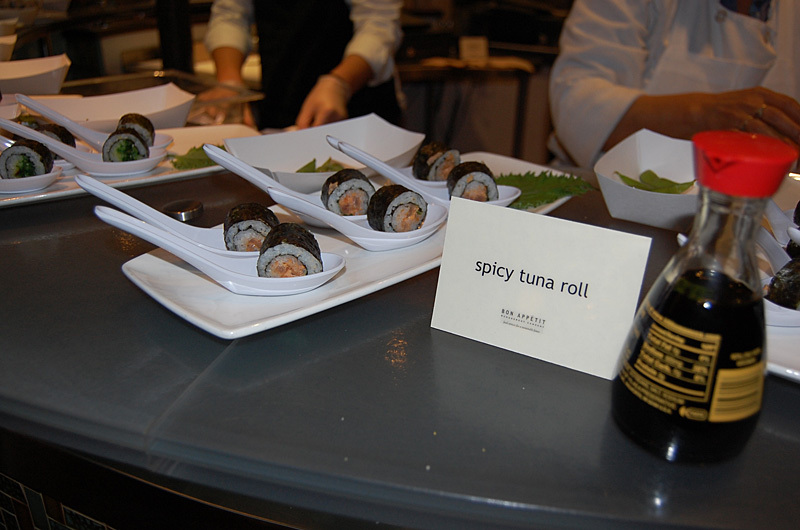 Some of the new comestibles include cheesesteaks, a caprese sandwich, a classic grilled Reuben, a Columbus St. Combo, a Lettieri Family Italian beef sandwich, a potato bar, sushi bar and grilled kabobs.